The Cellwood Group is a Swedish, privately owned industrial group where Cellwoodgruppen AB is the parent company. Cellwoodgruppen AB promotes long-term development of the subsidiaries, Bruzaholms Bruk and Cellwood Machinery. The purpose of Bruzaholms Bruk and Cellwood Machinery is to create value for our customers, and through that, offer attractive work opportunities and also create value for employees, society and shareholders. Cellwood Machinery has subsidiaries in Germany, China and Canada. Both Bruzaholms Bruk and Cellwood Machinery are strongly export-oriented while still focusing on the important Swedish market. There are a total of 120 employees and joint sales total approximately SEK 350 M.
The Cellwood Group’s companies endeavour to preserve long-term customer relations. The goal is to always be a cooperative partner and problem-solver in addition to a supplier. The Cellwood Group’s history goes back to 1937, when Arvid Stenberg purchased A K Eriksson in Mariannelund. Since then, more companies have been acquired, some of which were also sold (including A K Eriksson). Arvid Stenberg was born in 1895 in Lindås, outside Emmaboda in Småland. 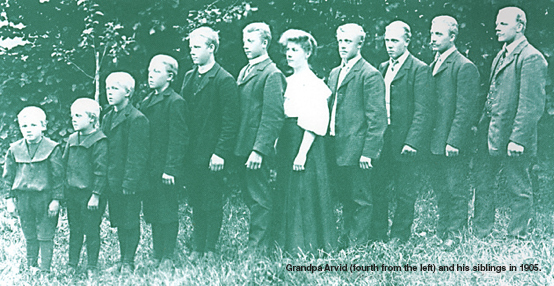 Several of Arvid’s ten siblings, as well as Arvid himself, began to launch and operate companies, just like their father, Petter Stenberg, had done. The oldest of the Cellwood Group’s two current companies is Bruzaholms Bruk, which was founded in 1660. Not many companies have been able to celebrate their 350th anniversary, but Bruzaholms Bruk is one of them. Since 1991, Bruzaholms Bruk has been a part of the Cellwood Group. Cellwood Machinery started in 1913 as Kristdala Motorfabrik. In 1954, the company was acquired by Arvid Stenberg’s son, PO, and moved to Nässjö. Simultaneously, the name changed to the current.